Front arm assembly connects the front suspension of the car to the frame of the car. 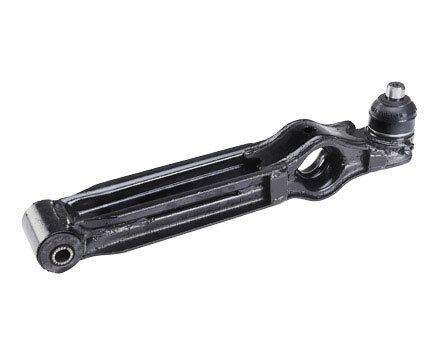 To allow the up and down movement of the suspension, the front arm is attached to the vehicle's chassis or body through flexible rubber bushings .To allow front wheels to turn, the outer end of the front arm is connected to the steering knuckle though a ball joint. Ensures a smooth and comfortable ride.